Women Of Change Publishing, LLC. a multi-service, Woman-owned Enterprise. We offer solutions that are strategically tailored to address individual client’s needs. While W.O.C. Publishing is anchored by Christ-centered principles, our services offered are provided without any discrimination. 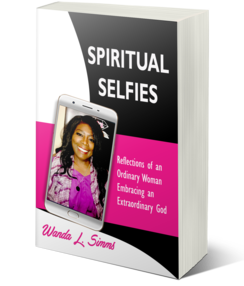 This 80 page book is filled of spiritual poetry and short stories, designed to engage the reader by offering an opportunity for written reflection on what they have read. AMERICA WHERE IS... MY DREAM? Wanda L. Simms has a passion to serve at-risk youth and adult women through the living Gospel of Christ. After losing her mother at a young age, then becoming a teenage mother at 15, she was labeled “At-Risk” herself. Determined to “Be the Change” and not continue as part of a cycle, she strived to better herself through the help of God and didn't give up her dream of obtaining a higher education, despite the many wrong choices she made early in life. In 2005, she founded" Keep It Real Outreach, Inc.," a mobile nonprofit faith-based community outreach program that connects with other organizations whose mission is to serve to hurt women in the community, through various programs and events. Currently, she is President of Women of Change Publishing (DBA), W.O.C. Publishing, LLC. (Colorado Springs, Colorado) and Women Of Change Outreach Enterprise.